Happy Easter!! This is a great holiday for family and friends to get together. 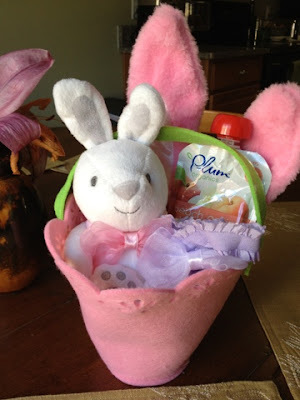 Ryan and I got to spoil our sweet Goddaughter Avery a bit with a little early Easter Basket this weekend!! Today, we are heading to our Mom's house to make homemade pasta and sauce. So watch out for a post some time soon with pictures and step by step instructions on this. Once you have fresh pasta, it is hard to go back to the box stuff! 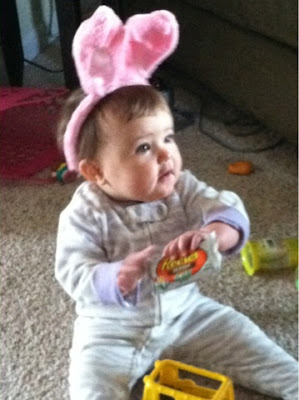 I love our little Easter Bunny!